Ich wünsche Dir einen wunderschönen und fröhlichen Tag und einen schönen Feiertag morgen ! ja, in diesen Tagen sind viele Vögel unterwegs, bauen ihre Nester, brüten und suchen Nahrung. Wundervoll. We've been seeing so many ducks around here! It's funny because we're not by any water. Cute duck! 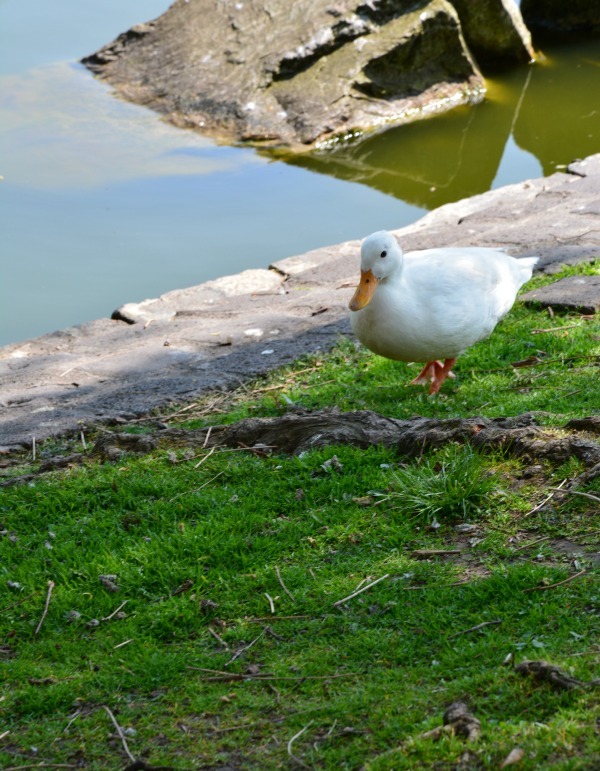 My dad had a much-loved white duck as a pet for several years. Well, it's not like he came in the house or anything, but he was tame and they had a pond. What a cutie :) Looks like a great day to be out and about! Love ducks by the water, mostly we have mallard ducks (colorful brown) here, not white ones. I don't see many white ducks. They are so fun to watch! So sweet! I love ducks, but when my family learned about this, all the gifts I received began to be duck-themed . . . not quite what I had in mind, LOL.